Established in 1995, Priti Gems Exports Pvt. Ltd. humbly began its journey in the Gems and Jewellery industry. In 1999, we became India’s first company to manufacture brown diamonds in all shapes and sizes. Over the years we leveraged our expertise to specialise in brown and make leaps of progress. Consequently, we are proud to acknowledge that today we are the biggest name in the brown diamond turf. Our rough and polish diamonds range from 0.01 carats up to 20 carats in a variety of different shapes. Strongly abiding by our principles, we make no compromises on quality. 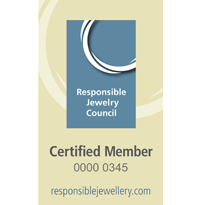 We have our own manufacturing unit, fitted with state-of- the-art technology and our skilled craftsmen are all trained and well experienced. To further emphasise on the quality we offer, we are the only company in the world that manufacturers brown diamonds in the top-tier Hearts and Arrows cut, in all shapes and sizes. Regarding our service standards; we strive for utmost customer satisfaction. Assortments can further be customised to meet our client’s requirements. Furthermore, we assure our customers a regular provision of superior quality goods, strictly within the agreed upon time frame. We believe that brown diamonds have a warm and an elegant look, creating their own unique place in the jewellery industry. 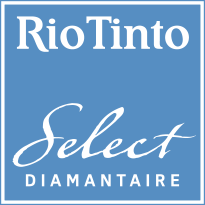 Concerning our supply; as of January 2015, Priti Gems has become one of Rio Tinto's Select Diamantaires. By and large we use rough diamonds from various different mines around the world. We source from major diamond mining companies such as Rio Tinto, Alrosa, Diamond Trading Company (DTC) and Dominion Diamond Corporation; as well as the secondary market. We are marketing our product under the trademark, “Darker The Better.” We are looking forward to doing business with your respected organisation. Uniqueness of Argyle Champagne Diamonds.